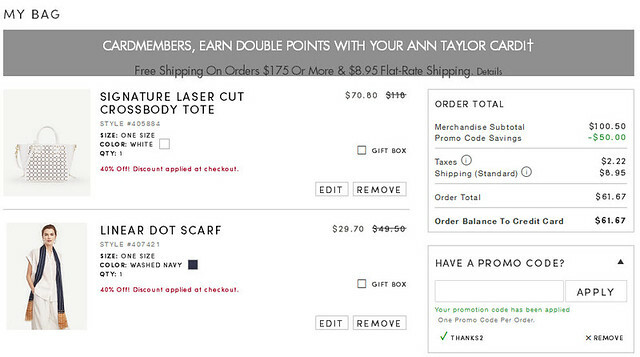 Get 40% off full-price styles extra 50% off sale styles at Ann Taylor. Valid in stores and online. You can also use the code ANNT3BE online for an additional 25% off full-price purchases of $100+ (exclusions may apply). That’s a total discount of 55% off full-price items! Since it’s my birthday month I also received the code GIFT2 for $30 off $60+ which expires April 30th at 11:59PM EST (excludes final sale items). I noticed this code works on sale styles for even further discounts if you’re placing a small order for sale items. I would only recommend doing this method if you’re pretty confident the sale items will fit you. If it doesn’t work out you will not get the $8.95 shipping fee back. Lastly, I recently received the code THANKS2 for $50 off your full-price purchase of $100+. This code supposedly expires 4/28/16 at 12AM EST but I received a similar email earlier in the month with the same exact code so they’ve been reusing it all month. Note: The shopping cart only takes one code per order so you’ll have to figure out which discount code is best for you. We usually take iPhone photos for my blog due to the ease and speed of publishing but these photos were taken by my Instagram husband using his DSLR. Please check out his Flickr here. Need to see another view? Here is what the trench looks like buttoned and belted. 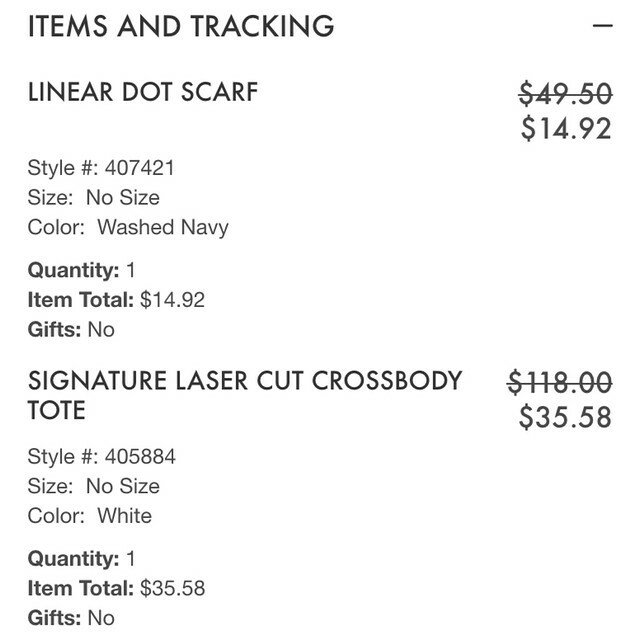 I also recently received the coupon code (THANKS2) for $50 of $100 and to my surprise it worked with the current promotion so I ordered the signature laser cut crossbody tote and the linear dot scarf my mom wanted for less than the current sale price of the bag. I “paid” for shipping but it worked out to be a better discount (almost 70% total discount before tax and shipping or 63% off retail after tax and shipping) than the other two coupon codes. Refer to the final price per item below. I’ve seen both the bag and scarf I ordered in person so I’m sure they’re keepers. 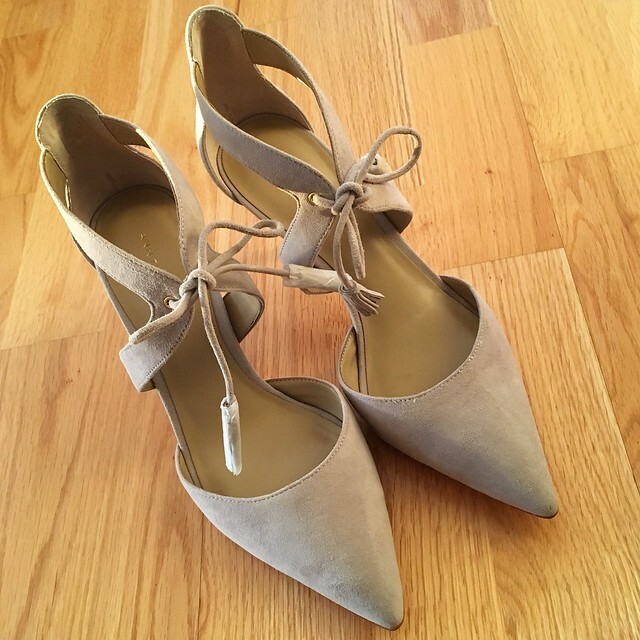 I wasn’t going to place another order this billing cycle but I returned the Carson tassel suede pumps that I ordered during the recent free ship event. The vamp cut into the outer sides of my feet so I returned them much to my disappointment. I had been stalking them in my size and color for a long time but I couldn’t justify sitting pretty in them. I found that they ran true to size but if you have wider feet then they may not work out for you. They definitely do pop back in stock in various sizes and colors throughout the day so bookmark the item and you may be able to secure your size and color just like I did. 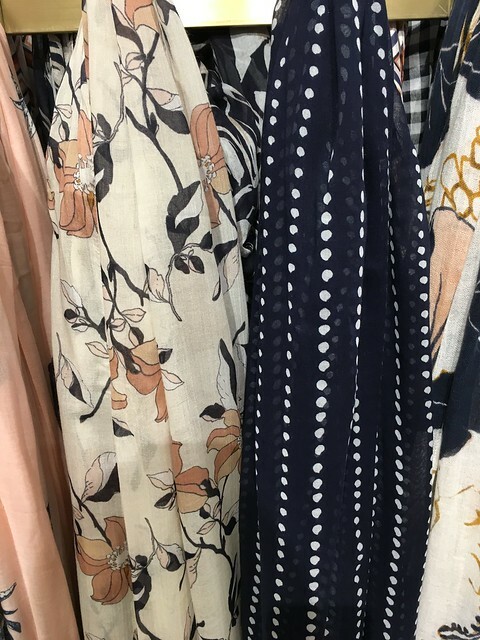 My mom loves Ann Taylor scarves so I took this picture to remind myself of which two scarves she picked out. Her caveat was that I had to get them really cheap so I’m sure she would approve of my first acquisition. 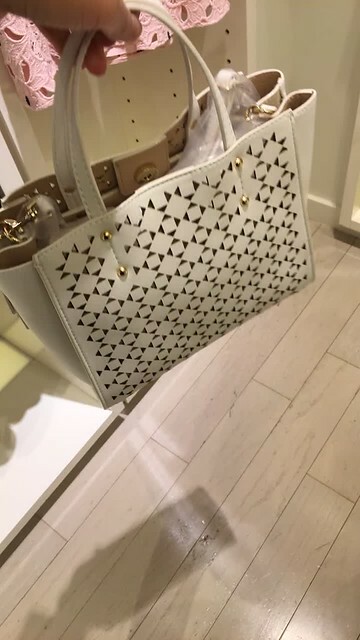 Here is a clip of what the laser cut crossbody tote looks like. I shared it on my snapchat (username: whatjesswore) yesterday. See the larger size here. I’ve seen some bloggers post pictures of the larger bag and it has a droopy bottom since the material is thin rather than thick and structured. I would definitely invest in a rigid insert for the bottom of this bag if you carry around a lot of stuff. I have one recommended by Jean from this shop and I use it all the time for my large signature tote reviewed here as well as my LV Neverfull MM tote. By the way, I’m still waiting for my LV bag to come back from repair. It’s been exactly one month since I brought it in. Speaking of bag inserts, I really want to invest in a Samorga custom insert as recommended by the stylish Queenie but I haven’t made the plunge. The trick is finding one that fits my large and small bags. Update 7/20: Samorga had a lot of negative reviews in terms of shipping time and customer service so I ordered a this bag organizer from OriginalClub. The shop owner provided a 20% off coupon for my first order.